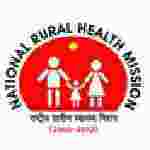 NRHM Lab Technician recruitment 2016-17 notification apply for 20 posts : National Rural Health mission (NRHM) welcomes application for the position of 20 Laboratory Technician vacancies on Ad-hoc basis. .Candidates who completed their DMLT, BMLT is a good opportunity.The individuals who are the occupation seekers searching for govt employments in Chhattisgarh this is the best chance to apply. Competitors read the official notification then read all the guidelines and miners precisely then apply before the last date online application got. All the interested and eligible candidates can appear walk – in – interview on 14th July 2016 to 15th July 2016. Candidates Age Limit: The age of the candidate should not be less than 18 years and should not be more than 65 years. The age of the applicant should be as on 1st January 2015. Academic qualification details: Candidates should have DMLT or BMLT courses with registration in C.G para-medical council. Process of selection for the job: The selection of the candidates will be on the basis of walk – in – interview that will be held at office of the chief medical and health officer, Raigarh. Details of Fee particulars: All the interested and eligible candidates are need to pay application fee Rs 400/- and Rs 200/- for schedule caste categories candidates (SC) / Schedule tribe categories candidates (ST) / person with disabilities categories candidates / female categories candidates though Demand draft drawn in the favor of District health society, RCH hospital Jashpur. Process of applying for the job: All the interested and eligible candidates can appear walk – in – interview along with application form / attested copies of relevant documents and original documents at the time of interview that will be held at office of the chief medical and health officer, Raigarh. Important Dates: All the interested and eligible candidates can appear walk – in – interview on 14th July 2016 to 15th July 2016.